Have you noticed telltale dirt mounds on your home or business property? You may have a fire ant infestation. These aggressive pests are more than just a backyard nuisance; an angry fire ant colony can pose a significant health threat to anyone (and anything) spending time on your lawn. Don’t risk your family, pets, and livestock. Contact Farrow Pest Services at the first sign of a fire ant swarm. 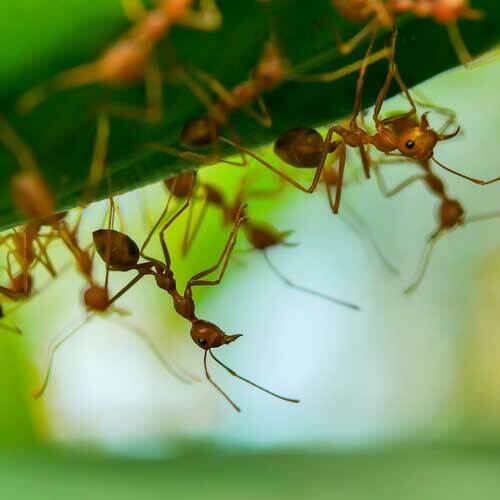 Our team of professionally trained technicians can eliminate fire ant populations throughout your property, quickly and safely. Have you noticed your lawn looking limp, sparse, and brown? Your soil may be compacted, depriving your root system of the air, moisture, and nutrients it needs to support healthy, robust, green growth. Farrow Pest Services’ lawn plugging capabilities can help. Our lawn care professionals strategically insert small patches of sod and grass into your existing lawn where it needs it most. Once installed, our individual lawn plugs take root, helping your entire yard to grow and thrive with thick, lush, grass. We can help your property quickly become the talk (and envy) of your neighborhood! An active outdoor Florida lifestyle can wreak havoc on our lawn. Heavy foot, paw, and tire traffic on our grass can compact the soil, depriving the root systems of vital nutrients and eventually generating excessive thatch spots. 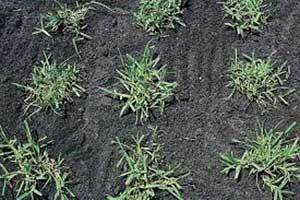 Don’t let heat, compaction, and stress take a toll on your lawn. 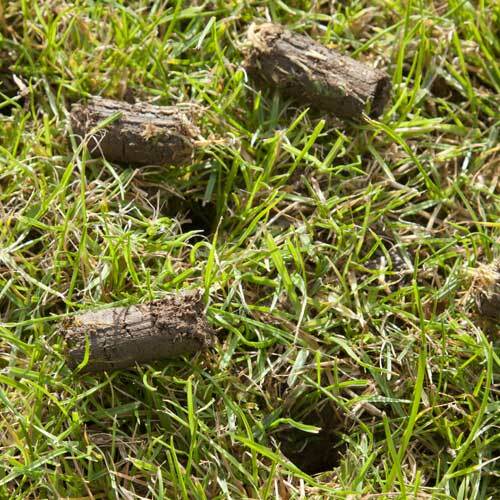 Farrow’s innovative core aeration services can reverse yard damage and restore your lawn to its former luster. Our service technicians utilize state-of-the-art equipment to strategically remove soil plugs from your property. In just a few weeks, our core aeration services can increase air distribution, improve nutrient access, reduce compaction, and restore root systems for a thick, healthy, lush lawn you’ll love. 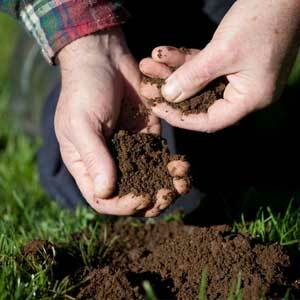 At Farrow Pest Services, we believe that the holistic health of your lawn and gardens begins with the soil. Our skilled and experienced specialists collect and test your soil samples to determine its composition and overall pH balance. Once we’ve analyzed the soil of your home or business property, Farrow Pest Services can create a customized lawn care approach based on your yard’s specific deficiencies and needs. Arborjet’s tree and palm injections deliver a highly effective way to protect and preserve your property’s trees and shrubs without spray or soil-applied pesticides. Your Farrow technician uses state-of-the-art equipment to inject the Arborjet treatment directly into the tree’s trunk where it’s rapidly distributed throughout the planting. Arborjet injections are a fast, environmentally friendly, and cost-effective way to safeguard your trees and palms against the pests, droughts, and diseases often found in Florida. Here in Florida, our gorgeous year-round weather allows us to spend as much time as possible in our outside living spaces. Unfortunately, this often means spending time with the mosquitos that also swarm our home and business properties as soon as the sun sets. Just a single bite from these parasites can spread a multitude of mosquito-borne illnesses such as Zika Virus, EEE, and West Nile Virus. If you’re tired of racing inside every evening to avoid mosquitoes, Farrow Pest Control can help. 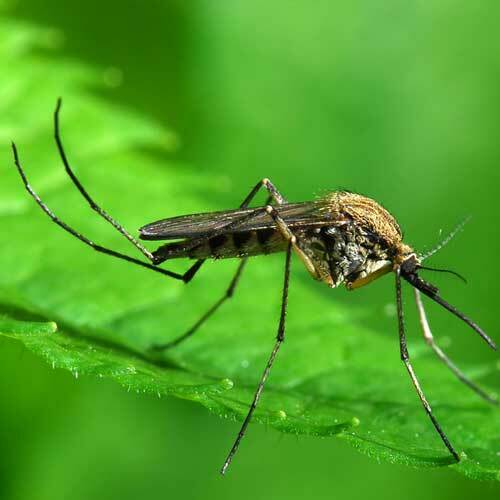 Our mosquito control services target these parasites where they live, nest, and breed, systematically reducing their numbers throughout your property so you can take back your backyard. At Farrow Pest Services, we use market-leading products and cutting-edge equipment on every project we undertake. Most importantly, the Farrow Pest Services staff is second-to-none. We invest in every employee to ensure they are adequately trained and qualified before sending them off into the field to provide an enjoyable customer experience from start to finish. Additionally, at Farrow Pest Services, we stand behind our work. Our team arrives on time, treating every client and property with the utmost respect throughout every application and treatment. If you’re not completely satisfied with our customer service or pest and lawn results, simply contact the Farrow team. We will retreat, reapply, and re-service until we’ve successfully exceeded your expectations and earned your repeat business – that’s the Farrow Pest Services promise. Contact the Farrow team today for a free analysis of your home and or business.